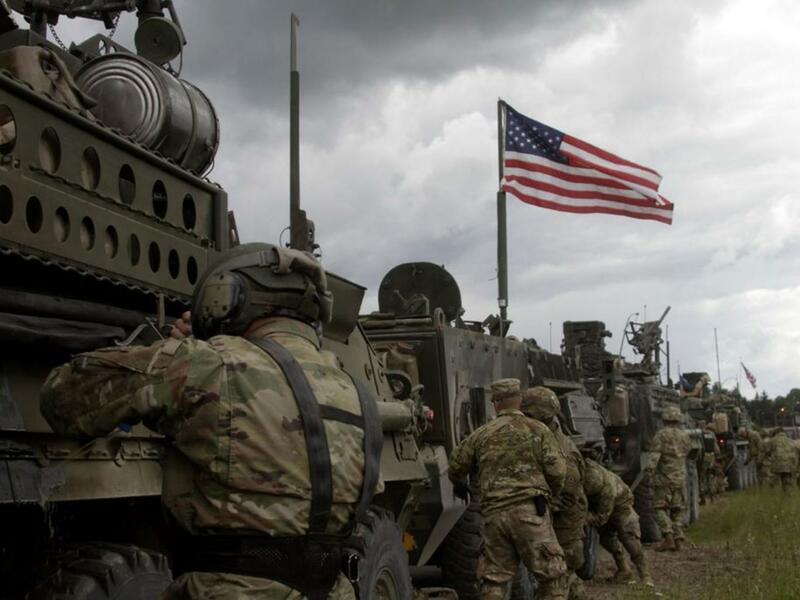 Defense ministers of the US-led NATO alliance this week endorsed proposals to set up two new military commands – and it is clear Russia is the target of what are, in effect, war plans. The setting up of an Atlantic command and a logistical hub in Europe to facilitate the transfer of troops and weapons was openly discussed by NATO officials as being aimed at Russia during their two-day summit in Brussels this week. The two new commands being proposed are the first expansion of NATO’s command structure since the end of the Cold War more than 25 years ago. It’s a retrograde move that is not only an unnecessary, dangerous provocation to Russia, risking self-fulfilling war threats. Moreover, NATO’s renewed organizational cranking is openly calling for the integration of European societies and economies into its madcap military escalation. European citizens, whether they like it or not, are effectively being dragooned into a state of war, with attendant social burdens to pay for that state of war, let alone being made to live with the risk of ultimate catastrophe, from all-out hostilities erupting. Grushko also put the new NATO organizational expansion in the context of an ongoing aggressive buildup over several years carried out by the US-led military alliance along Russia’s borders. Western media gave NATO Secretary-General Jens Stoltenberg free rein to accuse Russia of “attacking” Ukraine, “annexing” Crimea, and recently holding threatening war maneuvers on “NATO’s eastern flank.” The latter was a reference to the Zapad military defense exercises carried out by Russia every four years – held on its own territory or that of an ally. Idiotic “NATO’s eastern flank” made apparently intelligible by Western media. As befitting a propaganda service, rather than news services, the Western media uniformly omit any mention of how NATO states were instrumental in staging a coup d’état in Ukraine in February 2014, overthrowing an elected government back then with neo-Nazis who had designs on viciously suppressing ethnic Russians in Crimea and eastern Ukraine. Note how Russia and separatists are subtly blamed for killing 10,000 people. Well, perhaps “close encounters” would not happen if the NATO alliance could refrain from its escalation of warplanes and navy patrols in the Baltic and Black Seas. 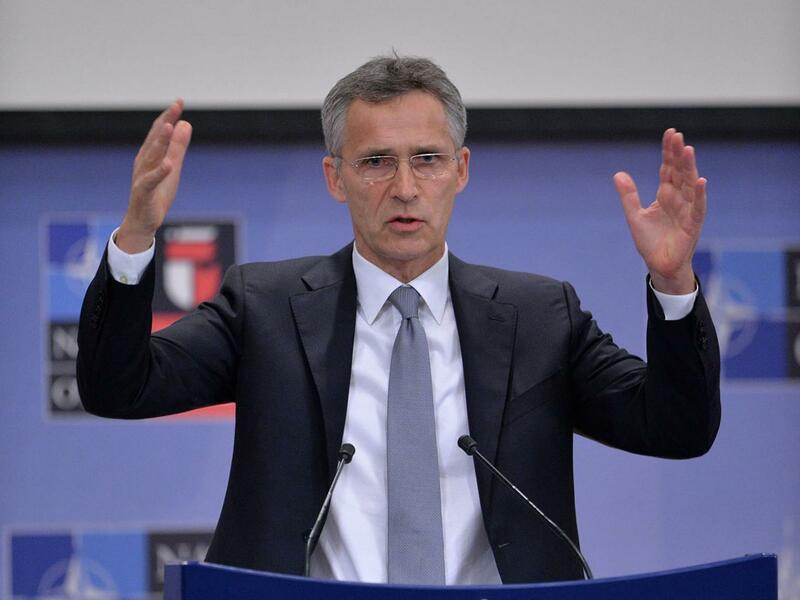 Stoltenberg “explained” the purpose of NATO’s two new command structures. “It is about how to move [American] forces across the Atlantic and how to move forces across Europe,” he said. You have to admire the former Norwegian prime minister’s verbal skills for euphemism. By “out-of-area expeditionary military operations,” he was referring to US-led NATO wars in Afghanistan, Iraq, and Libya, among other overseas operations, which have resulted in the destruction of nation-states, over a million civilian deaths, the spread of terrorism and the chaos of mass human displacement and refugees. Now by “increasing focus on the defense of Europe,” the 29-member NATO club – officially charged with maintaining security – will be further ratcheting up tensions with Russia to the point where an outbreak of war is a grave risk. Earlier, Stoltenberg claimed that the world was more dangerous than ever since the end of the Cold War. Provocatively, and recklessly, he cited “Russian aggression” alongside North Korea’s nuclear program and international terrorism as the three reasons for his morbid outlook. “We have proliferation of weapons of mass destruction in North Korea, we have terrorists, instability, and we have a more assertive Russia. It is a more dangerous world,” said Stoltenberg in an interview with Britain’s Guardian newspaper, which, of course, did not challenge any of his assertions. But such is the relentless Russophobia and media hysteria over “Russian aggression” that Trump and Putin – the leaders of the two most powerful nuclear states – are confined to only having a glancing conversation on the sidelines of international summits, such as the APEC conference in Vietnam this week. Last month, German publication Der Spiegel reported on a secret NATO document which showed the alliance “is preparing for a possible war with Russia.” Such is the irremediable propaganda spouted by NATO officials and regurgitated by Western media that these war plans are becoming self-fulfilling. What is even more sinister is that NATO is militarizing entire European society and civilian infrastructure to accommodate its ludicrous war mania. At the summit this week in Brussels, NATO officials said European governments and the private sector must coordinate policies, infrastructure, and laws to be able to facilitate the new transmission belt of military operations from the Atlantic to Russia’s borders. So, let’s get this straight: in an era of economic austerity when the European public is being clobbered with cutbacks and hardships, the NATO military machine wants governments to orient society and infrastructure to serve its war objectives against Russia. The irrational, insatiable NATO wants to turn Europe into an entire garrison for war with Russia – a war which the majority of European citizens do not want or believe is in any way based on credible reasons. NATO is not just going back to the future by revamping old Cold War strategies and Russophobia. It is destroying the future for European democratic and social development. Even more dastardly, it could obliterate the future by driving recklessly toward a wholly unnecessary war with Russia.